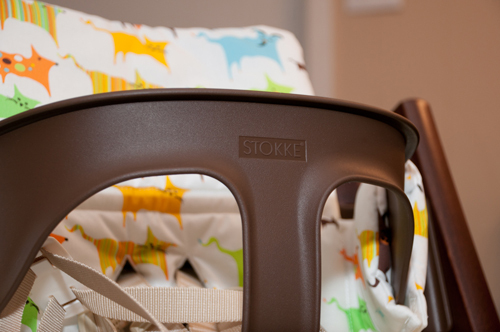 If you haven’t heard of Stokke before today, you’re going to be glad you read this post. We love the modern aesthetic of clean lines and smart design, and we definitely love products with varied functionality and room for growth built in. 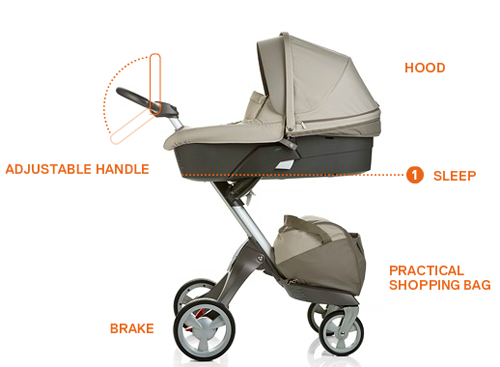 Stokke products are innovative, sustainable and child-centered, providing smart solutions for your baby’s needs and fitting easily into your home and life. We received the Tripp Trapp high chair and baby set in Walnut to review, and I purchased one of their cushions to go with the seat. I. love. this. chair. LOVE it. Can you blame me? It’s sleek and modern, not bulky like a lot of high chairs. 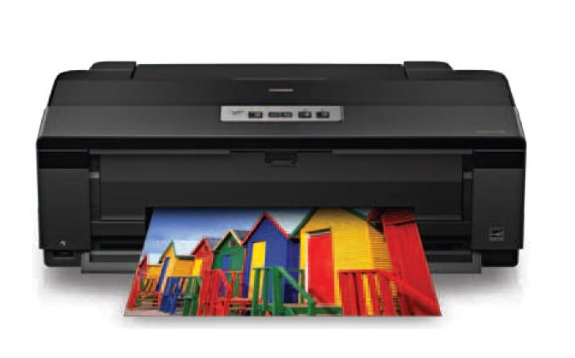 The cushion is coated for easy clean up and can be removed and machine washed if needed. One highlight of the chair is that it can be pushed right up to the table so that your baby is sitting with everyone else. This also means that when it’s not in use it is tucked away under the table. We have a small house, so that feature is really appealing to us. 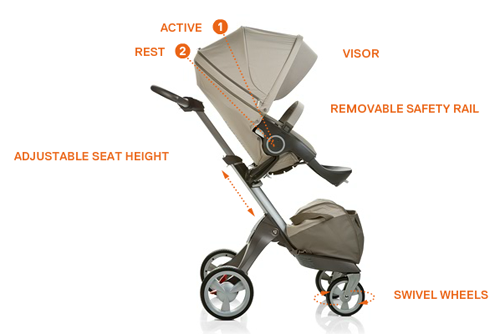 Stokke has taken great measures to add to the safety of the Tripp Trapp, now providing extended gliders that attach to the bottom of the leg backs, preventing babies from pushing off of the table and tipping the chair backwards. In the early stages, you’re able to pair the seat with the Baby Set, allowing babies as young as 6 months old to easily sit and enjoy their meals with the family. We loved how easy the Baby Set was to install. The cushion was a little trickier, but we discovered that Stokke has a YouTube channel with helpful videos, and once we watched the installation video it was a breeze. I really thought about getting a girly print for the cushion, but we loved this gender-neutral one so much that we couldn’t pass it up. 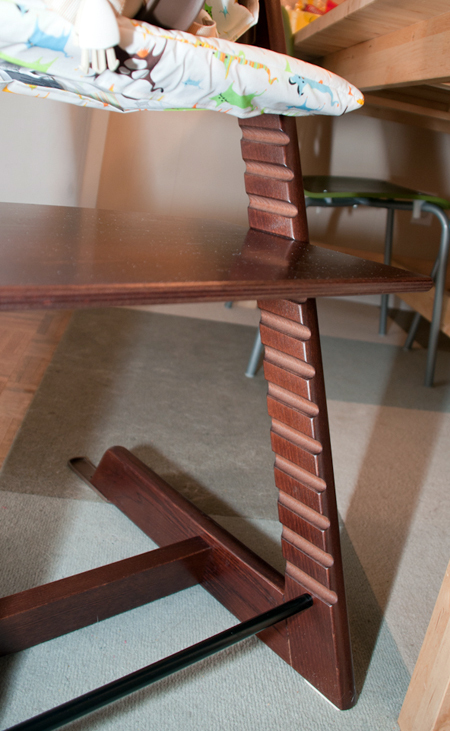 The Tripp Trapp retails for $249.99, which is more expensive than other high chairs on the market. The versatility of this chair makes it worth the price, in my opinion. For instance – we have the chair now, and our baby won’t be 6 months old until March of 2013. In the meantime, we’re going to remove the baby set and cushion, and our 3-year-old will use the chair as a way to reach the table better (right now he has to sit on his knees in a regular chair to be at table height). Years from now, when the children are older, we can continue to use the chair for teenagers and adults to sit in. If you consider that an average high chair cost is around $120, and then you only use it for 1, maybe 2 years, that’s a cost of $60/year. 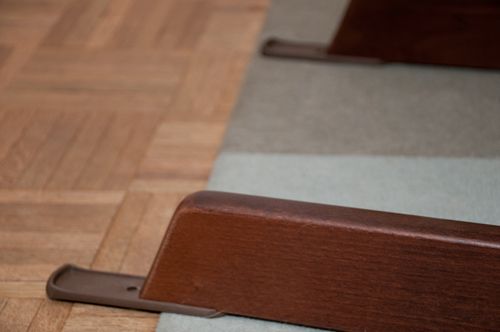 You can use the Tripp Trapp for decades, which provides a greater overall value. Their Sleepi convertible Nursery bed is yet another example of their products’ versatility, allowing parents to use it from when their children are newborns all the way up to 10 years old. If you want to keep up with all the great Stokke products, be sure and follow them on Facebook and Twitter – they’re really active on social media! 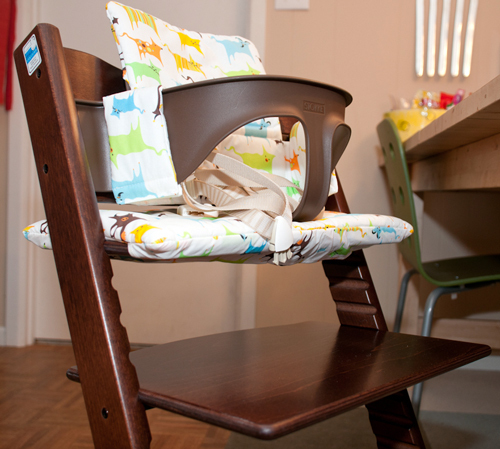 Note: We received a Stokke Tripp Trapp and baby set to facilitate our review. I was not compensated monetarily for this post. All opinions are honest and my own. Oh wow that high chair looks amazing!! The beds are adorable too! Love that it’s circular. I know, the circular bed is too cool!! I absolutely love this chair…. I just wish we had an actual kitchen table. Some day we will have a bigger house with a real dining area and I will totally invest in these chairs! 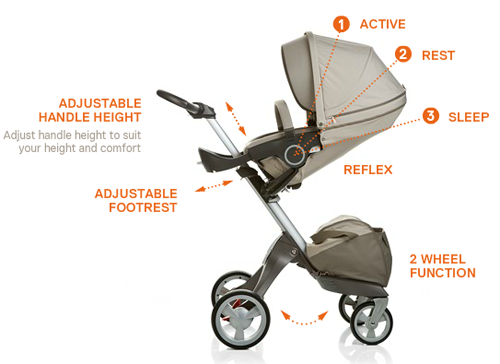 I do love all the Stokke products though – they don’t scream “BABY” which is nice and refreshing. 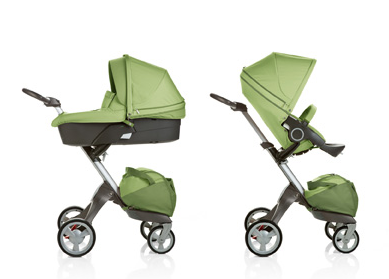 I love Stokke! The Tripp Trapp really is an awesome chair. I would love to have one at our house. We’ve used a high chair that straps onto a regular chair for both of our kids but at this point we would love to have the actual chair back. 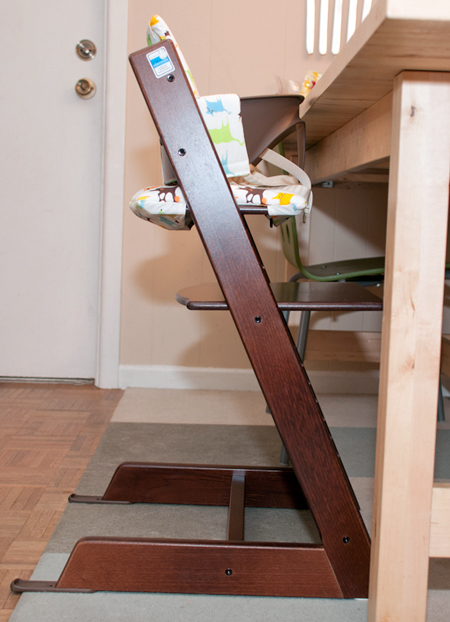 The Tripp Trapp would be awesome for our toddler to use until he’s ready to move to a regular chair and then give it to the baby – basically the same thing you plan on doing. Oh, and I have to say, I love your choice for the chair cushion! It’s so adorable!